No wonder I had so much fun writing this book! Sojourn With a Stranger has it all! 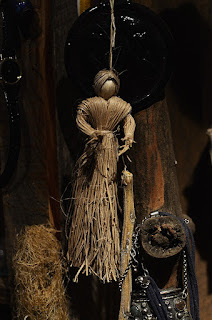 Voodoo: A cultural form of the Afro-American religions developed by West and Central Africans populations of the state of Louisiana, though its practitioners are not exclusively of African-American descent. Voodoo tradition makes its own distinction between black and white magic, with sorcerers like the Bokor known for using magic and rituals of both. Reading Tea Leaves: Known as tasseomancy it’s the art of reading tea leaves. Although traditionally associated with gypsy fortune tellers, tasseomancy originated in the middle east in the medieval period, and versions of this divination method can be found right across the world. Laying of Hands: The laying on of hands (Greek: cheirotonia – literally, “laying-on of hands”) is both a symbolic and formal method of invoking the Holy Spirit primarily during baptisms and confirmations, healing services, and blessings. Raine Brinsley is penniless after her parents drowned at sea. She’s sent by the local minister to Stafford House to apply for a job as a servant. Despite the alarm bells going off in her head, she accepts the offer of employment. She has one goal in mind, to return to her beloved grandfather in Maine. Lord of the Manor, Derek Stafford, has his own dilemmas to worry about. His wife committed suicide some time ago after delivering several stillbirths. Derek and his brother, Lyman, race to produce the first male heir of Stafford House. The winner will receive not only the title to the eloquent manor but also an enormous sum of money from their father. Derek decides the beautiful Raine will make the perfect surrogate. If only he can convince the young woman that signing a contract to bear his son will serve both their needs: She can return to her grandfather and he’ll inherit a life of wealth and luxury. But dark stirrings are afoot at Stafford House. A ghost haunts the halls of the manor and the spirit is intent on exposing her killer to Raine. 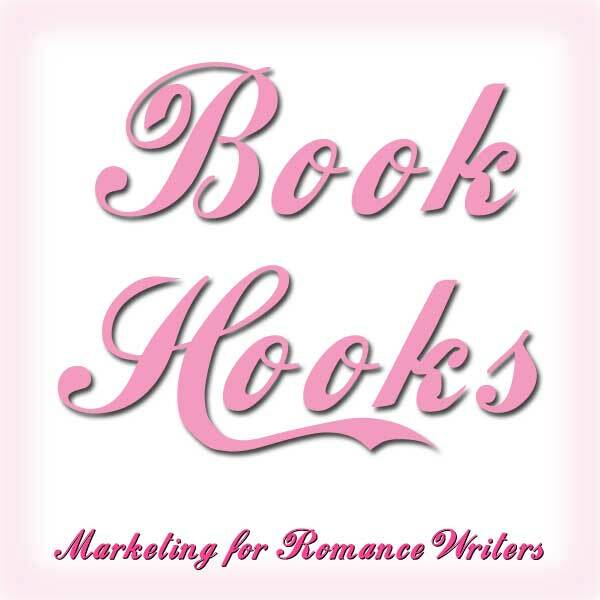 Steeped in murderous plots, Derek and Raine face insurmountable odds of achieving their dreams. And fight the insatiable hunger between them. Setup: Raine is awakened from sleep by an eerie scratching on the window and an ear-splitting wail. A ghost is trying to deliver a message. She wants to bring the dead spirit peace, but doesn’t know how. One thing for certain—she can trust no one, especially the Lord of the Manor, Derek Stafford. Raine bolted through the door of her bedchamber, walked briskly toward the pitcher on her bureau and filled the basin. Hoping to extinguish the hot flames in her cheeks, she splashed them with water. Pacing between the bed and the door and then back again, she relived the events of the evening. Lyman’s eccentric behavior unnerved her and despite Elne’s graciousness, the woman knew more than she let on. If only she had told Derek, “No, I won’t play the piano,” when he had asked her tonight. She didn’t want to mingle with his family; she was a servant and not one of their kind. But servants didn’t sleep on the upper level of a great house. Just how much had Derek told his parents about their arrangement? Hugging her elbows, she willed her churning stomach to settle. She found it increasingly difficult to keep her tumultuous emotions at bay every time Derek entered a room or looked at her. After removing her gray shift and shoes, she pulled a night shift over her head. Footsteps fell in the hallway outside her door.. and stopped. She held her breath. Long moments passed before the person moved on, and longer moments still before she drew breath again. Fitful dreams disturbed what little sleep found her. A strange noise awoke her in the middle of the night, an eerie scrape of nails against glass. Pitiful wails fell from the ghost’s lips followed by shrill keening. Lucinda’s ghost! Good God, she had never heard such torment. Raine bolted upright in bed and turned to the window, certain the sound originated there. A pale mist fogged the pane and the mind-numbing scratching droned on. An idea struck. Tomorrow, she would journey to the family plot, regardless of the snow. Perhaps a clue would find her, one tiny nubbin of information to help her solve the puzzle. Even without Lucinda’s body, Derek would have purchased a marker. Her sleep-starved brain wandered to another dilemma—the letter she must write to her grandfather. Until she dealt with it, he wouldn’t stop visiting her dreams, nor would the Scottish words he’d taught her so long ago cease to tumble through her head. Cuimhnich air na da oine o’n d’ thainig tha. Yes, tomorrow she would walk through the Stafford family burial plot, scouring every tombstone for a sign, and then she would pen a letter to Grandfather. The scratching and wailing had ceased. A semblance of peace found her as she entered dream world again. “Sojourn with a Stranger is absolutely wonderful. I was captivated from the beginning to the end. This is not your typical love story but nonetheless spellbinding. Derek is a man who is struggling to make a place in a world where his family’s name is above reproach. Raine, on the other hand, is a very strong willed and prideful young lady. These characters blend together effortlessly while keeping with the normal love hate relationship they seem to share. Thanks so much for dropping by today. 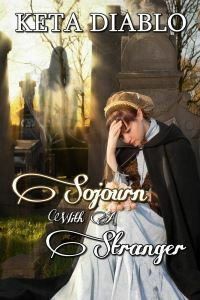 If you read Sojourn With A Stranger, please consider leaving a review on Amazon and Goodreads. 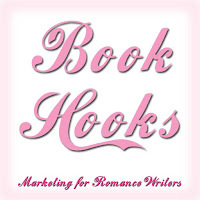 Don’t forget to visit all the wonderful authors on the #BookHooks blog hop below.